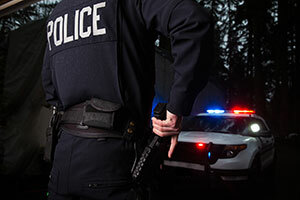 An expert on police training and lethal force has testified that two police officers acted reasonably during a 2013 shooting of a mentally ill man in Charlotte, North Carolina. According to testimony, in January 2013, 55-year-old Spencer Mims III was uncharacteristically upset about the loss of his favorite football team in the NFL playoffs. His father, Spencer Mims Jr., 82, left the home to give him time to cool off. While he was out, Mims Jr. saw a police officer and asked him for help. When the police arrived at the house, Mims was sitting on the porch holding a box-cutter to his neck. Officer Michael Whitlock used a Taser to attempt to subdue Mims, which caused him to yell in pain and come towards Officer Jeremy Donaldson with the box-cutter. Officer Donaldson told Mims to drop the knife, but he did not. Officer Donaldson shot Mims three times, which resulted in his death. The Mecklenburg County District Attorney cleared Officers Donaldson and Whitlock of any criminal wrongdoing in relation to the shooting. The Mims family filed a wrongful death suit against the city of Charlotte, alleging that the use of deadly force against a person having a mental breakdown was excessive and unnecessary. The lawsuit claims that Mims never threatened the officers and that Mims was turning away from the officer when shots were fired. Ken Wallentine, special agent for the Utah attorney general and expert on police training and lethal force, testified as an expert witness for the police. Wallentine testified that the officers acted appropriately during their confrontation with Mims. Wallentine opined that Officers Jeremy Donaldson and Michael Whitlock’s actions were “what we expect from well-trained officers.” He testified that neither officer had been overly aggressive with Mims and said that they could not have stayed away from Mims because they were dealing with an unstable man carrying a deadly weapon. Attorney for the Mims family, Luke Largess, questioned Wallentine’s understanding of the evidence. Largess picked apart Wallentine’s grasp of the facts and sequence of events and pointed out that Wallentine had been paid $7,000 to testify. Largess noted that Wallentine rarely testified on behalf of a civilian against the police and claimed that Wallentine did not seem to know the best police practices in dealing with a mentally ill person in a crisis. During Wallentine’s cross-examination, Largess pointed out that officers are taught not to escalate tensions by acting aggressively. He asked Wallentine whether giving Mims repeated orders to drop the box cutter and aiming a Taser at Mims could be considered aggressive. Wallentine acknowledged that those actions could be considered aggressive. Largess also questioned Wallentine as to whether backing away from Mims into a corner with no means of escape would be a breach of training. Wallentine said, “I agree it’s not the best.” Largess explained that backing themselves into a corner would leave the officer with a choice to kill someone or protect themselves. The jury agreed with the Mims family and awarded them damages of $100,000. A juror explained that the relatively small wrongful death award represented the jury’s belief that both Mims and the police shared responsibility for Mims’ death.